The McInnis Cup belongs to Summit for the second straight season. The top-seeded Hilltopers, No. 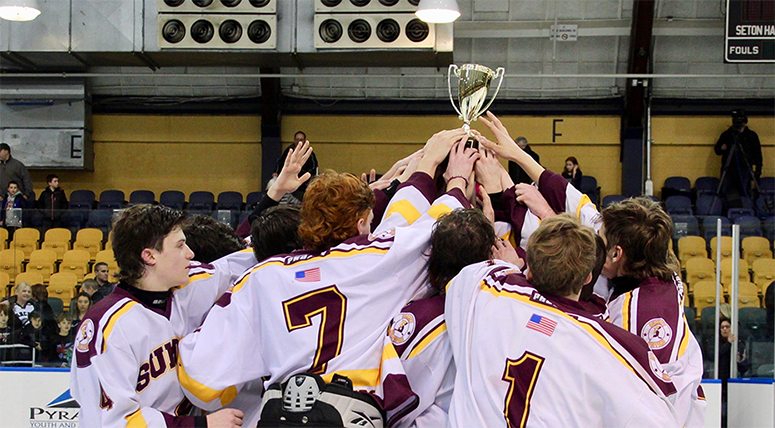 14 in the NJ.com Top 20, downed second-seeded Livingston, 3-1, at Codey Arena on Friday night to secure the trophy and help bury their disappointing memories from last month’s upset loss against Westfield in the Union County final.